I did a lot of stitching lately. I wanted to overdye a few fabric pieces. I chose another blue, cobalt blue, for the second bath. I believe the first one was cerulean blue. (I did the first layer a long time ago.) I'm using cold reactive dyes. 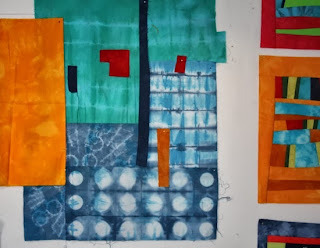 I am still trying to use the green/blue fabric in a quilt. But really, it isn't working! Here's a little peek at my design wall. Maybe it needs to be overdyed too. I think I'm going to try a very dark blue. I simply wanted to add a page to my blog with some kanji I'm trying to memorize in order to be able to "read" my Japanese magazines more quickly. I call it my "Japanese glossary". Of course it is a work in progress and it is still very short at the moment. And just in case you wonder, the title of the post means "kanji", and the phrase means "it's raining today" as you might have guessed from the picture. Your design wall is yummy! Love all those fabrics. 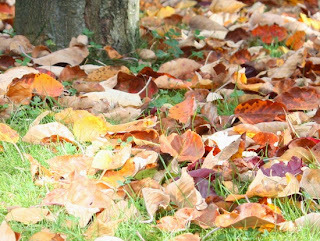 I like the green in the arrangement you've posted, and your blue pieces are great too. I do admire your Japanese studies, I have enough trouble trying to remember my French vocabulary. Love the effect of the stitches on the over dyed fabrics!! j'aime beaucoup le tissu teint noué, dessin simple répétitif et très fin! 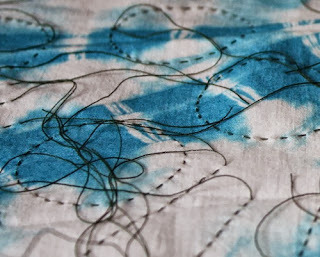 Amazing what a difference another layer of dye makes & I love the patterns from your stitching. I love the tie-and-dye results. Could also imagine them to be in a monochromatic blue work and not get pushed aside by other colors, although I love the green, red, and orange together. I hope you are free from pain now. 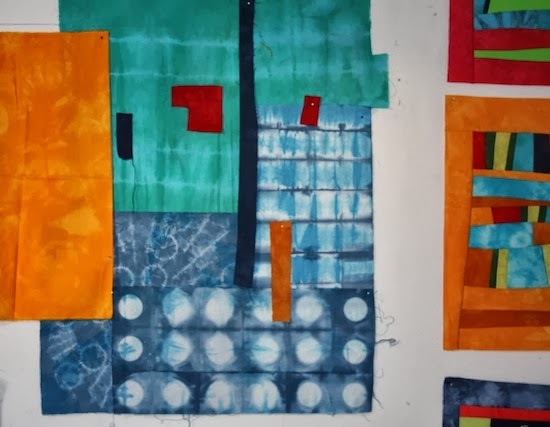 I like your dyeing work and the colour combinations are looking exciting. 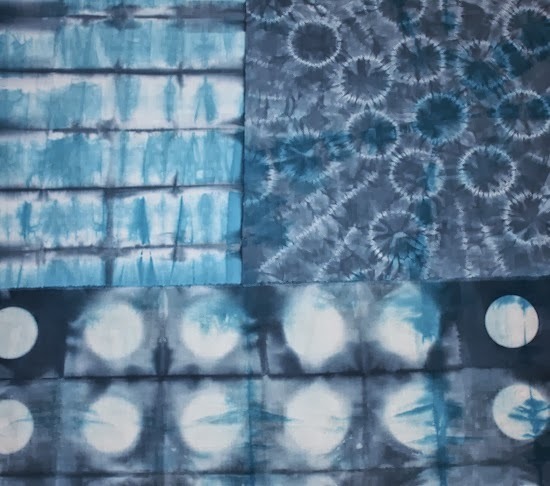 I have been experimenting with shibori dyeing too just recently. I love the surprise of the results. I like to see your exploration of dyeing as it's so inspiring! 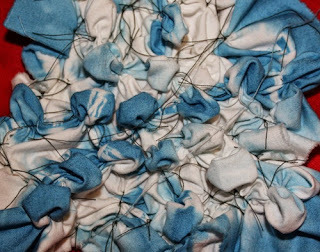 The over dyeing looks so interesting and there are so many different ways to combine stitching and dyeing. I hope that your back is feeling better.